A thrilling classic from a master of the genre. It is the last month before Iraq is to invade Kuwait, and Saddam Hussein has instructed his scientists to stop at nothing to arm his nation with nuclear warheads. 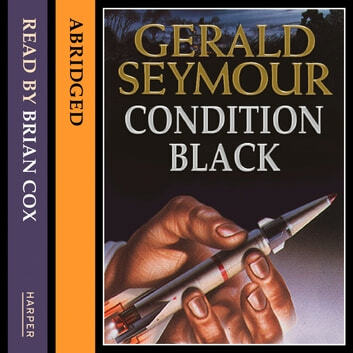 As Frederick Bissett, a disaffected British weapons scientist, is on the point of seizing the Iraqi bait, the only man to stand in the way of a total collapse of the Middle Eastern military balance is a young FBI operative, Bill Erlich - a man who has just seen a close friend gunned down by a terrorist, though, and is hard on the heels of the assassin. As he blunders into the lines by which the Iraqi puppet-masters control their undercover agents in England, he is faced with a last and inevitable confrontation and recognises that he has gone beyond the point of recall: he is engaged in what his FBI training has taught him to call ‘Condition Black’, lethal assault in progress.